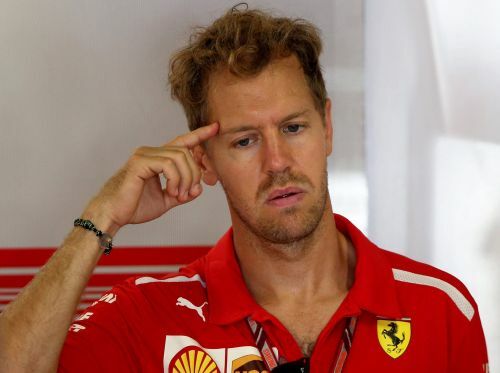 Singapore, Sep 12 (PTI) Error-prone Ferrari will have to execute a perfect race in the Singapore Grand Prix this weekend to narrow the widening gap between Sebastian Vettel and championship leader Lewis Hamilton. Lead Mercedes driver Hamilton topped an intense battle with Vettel in the early stages of the Italian Grand Prix on September 2 before passing polesitter Kimi Raikkonen to win on the high-speed Monza track, extending his championship lead to 30 points with seven races remaining. Ferrari have had the faster car than the Mercedes of late but they have failed to come up with the consistency required to win titles. However, it is still far from over for the Italian outfit which is 25 points adrift of leader Mercedes in the team standings. What should give Ferrari additional confidence going into the night race on Sunday is that they have been the faster than Mercedes on the slow and twisty Marina Bay Street Circuit in recent times. Red Bull too have been strong on the high downforce track. Vettel was on pole here last year but a freak accident saw him, Raikkonen and Max Verstappen being taken out of the race on the very first lap. It was a sudden disaster for the four-time world champion and Ferrari as Hamilton won the incident-packed race to create a 28-point cushion in the drivers' standings from a tiny three-point advantage over Vettel before the start of that weekend. Ferrari will have to make a conscious effort to stay out of on track trouble and will also be hoping for the luck to go their way in a race that has seen a safety car intervention at least once since 2008. Hamilton, on the other hand, will be gunning for his fourth win in the last five races, bringing him a step closer to a fifth world championship crown. Mercedes boss Toto Wolff knows that Singapore will be a stiff test for their power-friendly cars but is not ruling out a hat-trick of victories here after Hamilton and Nico Rosberg won in 2017 and 2016 respectively. "Singapore has features that we've struggled with in the past. The short straights, the slow, tight corners and the bumpy surface all make the Marina Bay Street Circuit one of the trickiest tracks of the season for us," said Wolff. "In 2015, we endured one of our most painful experiences in recent years there. Last year, we started the race from the third row and came home with a win and a third place. On paper, the track should favour the Ferraris, but the championship fight is so close that predictions are almost meaningless. "One thing that's guaranteed in Singapore is a great spectacle; the track under the lights looks stunning both for the TV audience and the fans in the grandstands. For the teams, the race is one of the most demanding ones as the high temperatures and humidity levels make life in the garage tough," he added. Another strong contender will be Daniel Ricciardo, who will leave Red Bull for Renault at the end of the season. "As everyone knows, I love street circuits. The feeling of driving on the edge, so close to the walls, is something you just can't get enough of. It's the original night race and the schedule is always pretty hectic but there is something kind of romantic about going to the track at night and then to bed at four or five in the morning," said the Australian. "It's a place where I also have good races and finish pretty strong. I've had four podiums and three second places in a row there, so it's about time I win the damn thing," he said.